The First Council of Nicaea was a council of Christian bishops convened in the Bithynian city of Nicaea by the Roman Emperor Constantine I in AD 325. 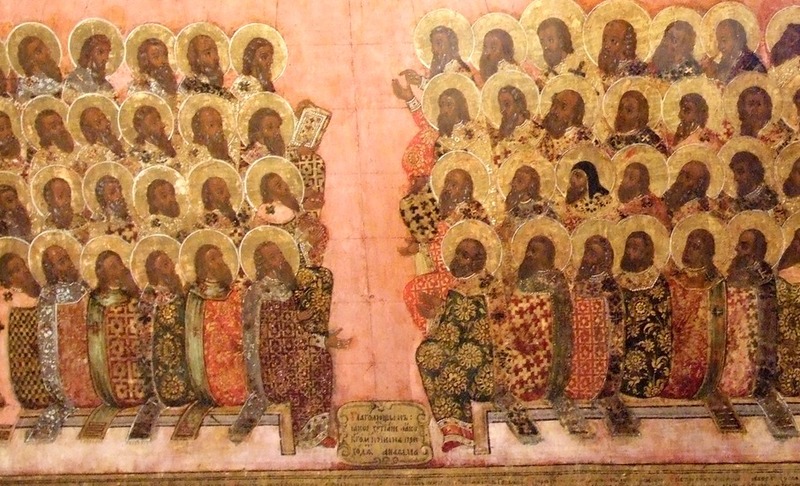 This first ecumenical council was the first effort to attain consensus in the church through an assembly representing all of Christendom, although previous councils, including the first Church council, the Council of Jerusalem, had met before to settle matters of dispute. It was presided over by Hosius, bishop of Corduba. Its main accomplishments were settlement of the Christological issue of the nature of the Son of God and his relationship to God the Father, the construction of the first part of the Creed of Nicaea, establishing uniform observance of the date of Easter,and promulgation of early canon law. The First Council of Nicaea was convened by Emperor Constantine the Great upon the recommendations of a synod led by Hosius of Córdoba in the Eastertide of 325. This synod had been charged with investigation of the trouble brought about by the Arian controversy in the Greek-speaking east. To most bishops, the teachings of Arius were heretical and dangerous to the salvation of souls. In the summer of 325, the bishops of all provinces were summoned to Nicaea. Contrary to the claims of some fringe authors and cults, the council did not address any questions regarding the canon of scripture. 20. prohibition of kneeling on Sundays and during the Pentecost (the fifty days commencing on Easter). Standing was the normative posture for prayer at this time, as it still is among the Eastern Christians. Kneeling was considered most appropriate to penitential prayer, as distinct from the festive nature of Eastertide and its remembrance every Sunday. The canon itself was designed only to ensure uniformity of practice at the designated times.